Hello everyone! 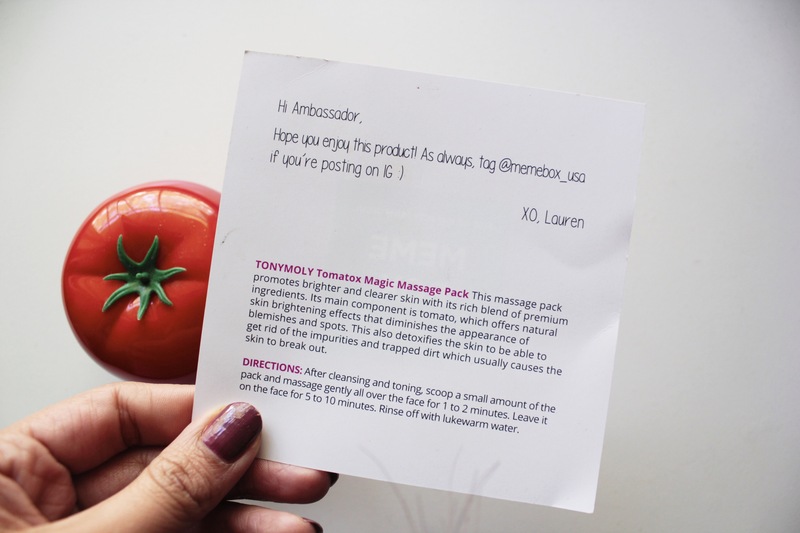 It’s been a while since I’ve done a product review, so here’s a review of the TonyMoly Tomatox Magic Massage Pack that I received from Memebox a while back. You can find this product for $18 on the Memebox website by clicking here. To start off, the packaging is super cute. 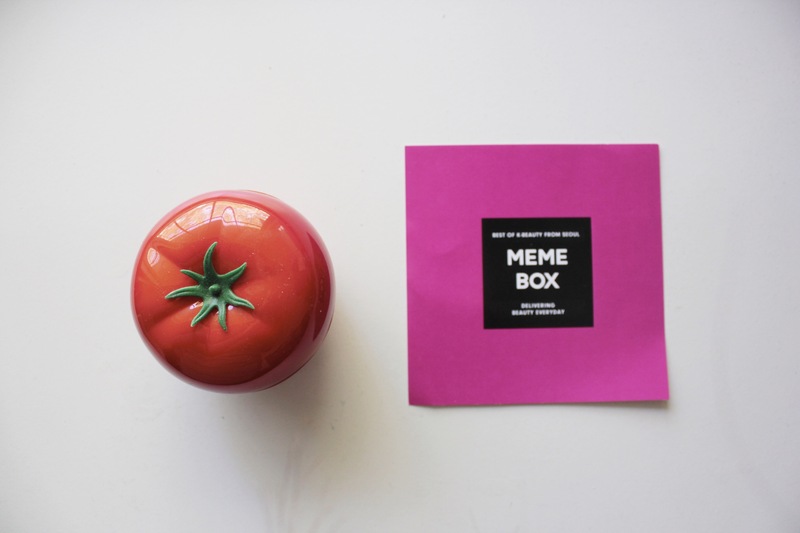 It comes in the form of a cute little tomato. 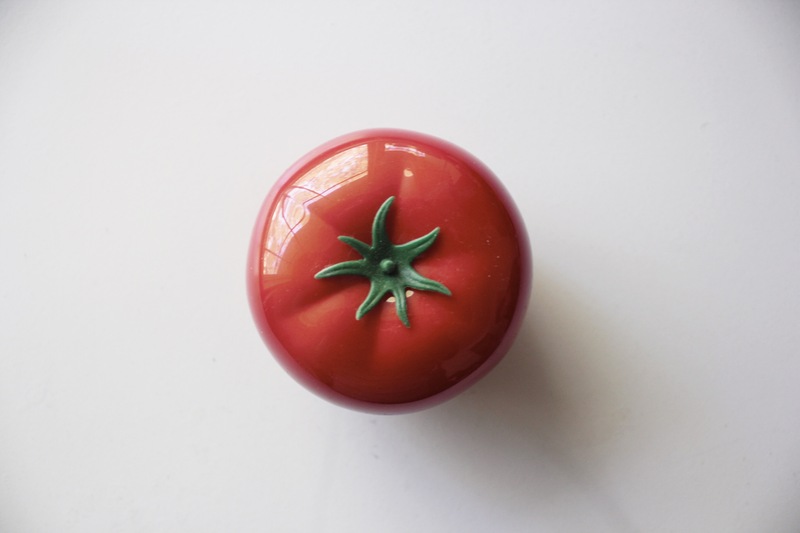 Inside the tomato, there is a lid that covers the product and also a little spatula that you can use to scoop up the product, but I just like to use my finger because it’s easier (I do make sure my hands are clean beforehand). The texture of this mask is very creamy and smells somewhat like Granny Smith apples, which I do like! 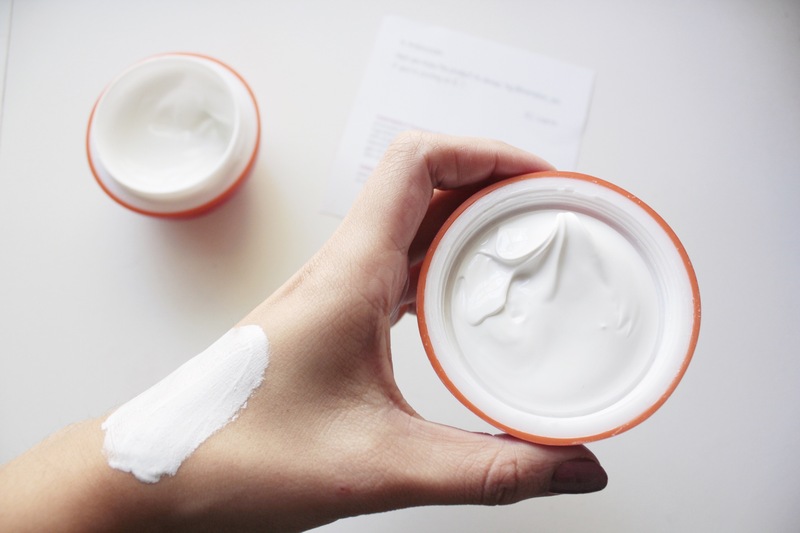 You get 80g of product, which is a good amount since you don’t need that much for each application. 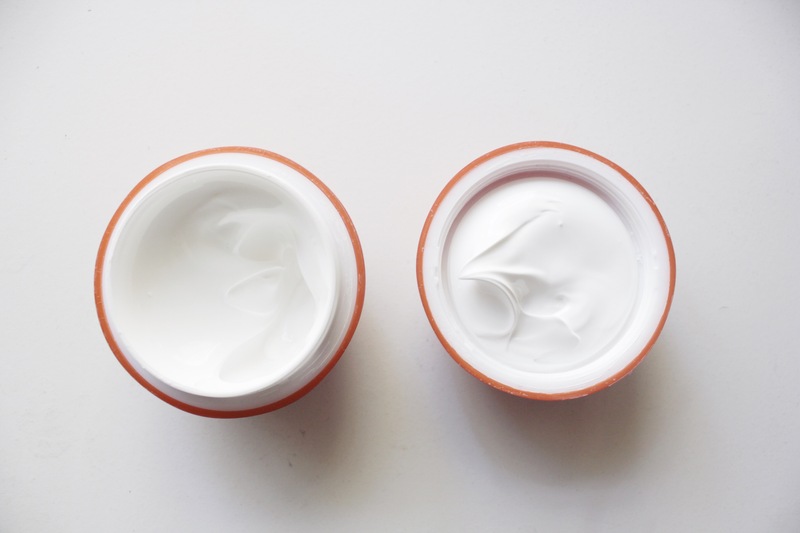 The product spreads onto the face very easily due to the creamy texture, which makes the application not difficult at all. I use this mask about 1-2 times a week depending on how my skin looks/feels. I’ve noticed that when I use it in the morning before applying my makeup, my makeup goes on a lot better since my face is much smoother. I like to use this mask on nights when I feel like I’ve worn a lot of makeup that day and when my face needs a cleanse from all the makeup I put on my face. 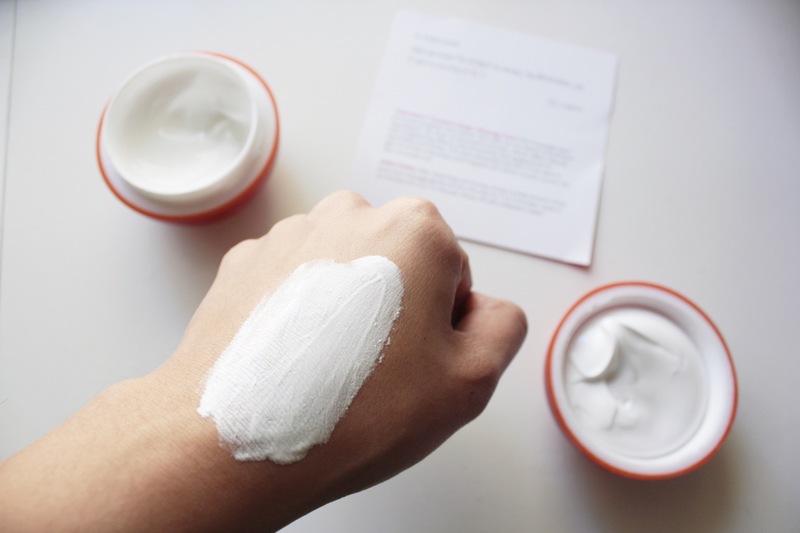 After using this mask, my face is always noticeably brighter (but it is only temporary). It never fails to leave my skin feeling super smooth and soft. I also feel that it does a good job at detoxifying my skin and also helps get rid of trapped dirt, which I love about this product! Thank again to Memebox for sending me this product! Don’t forget to check out their website for more beauty and skincare products! Also, be sure to follow them on Instagram to stay updated with new and upcoming products!